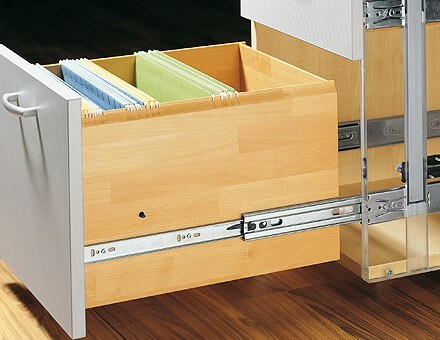 Precision full extension drawer slides with pull-out stop and roll-out guard. 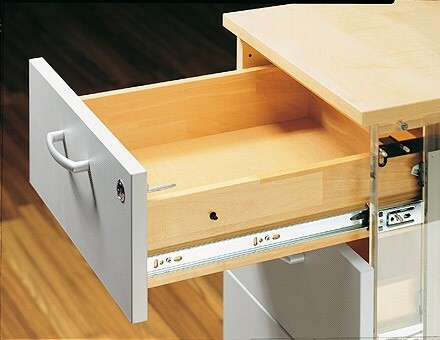 Using the release lever the drawer can be removed from the runner and re-attached with ease. 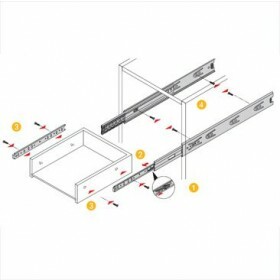 High lateral stability with smooth runner action. 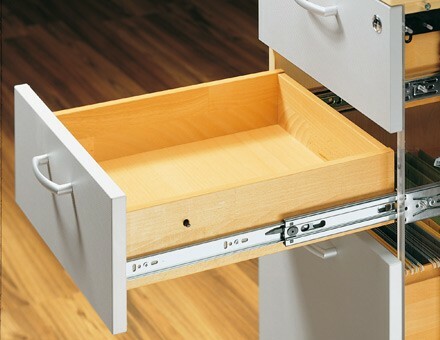 For use in drawers with grooved, rebated, or loosely fitted drawer bottoms. Loading capacity conforms to EN 15338, Level 1 spec. 0 073 276 10" 10.25" 7.55"
0 073 277 12" 12.25" 3.77" 9.25"
0 073 278 14" 14.25" 3.77" 11.49"
0 073 279 16" 16.25" 3.77" 3.77" 13.46"
0 073 280 18" 18.25" 3.77" 5.03" 15.43"
0 073 281 20" 20.25" 3.77" 5.03" 2.51" 17.4"
0 073 282 22" 22.25" 3.77" 5.03" 2.51" 1.25" 1.25" 19.37"
0 073 283 24" 24.25" 3.77" 5.03" 3.77" 1.25" 1.25" 21.33"
0 073 284 26" 26.25" 3.77" 5.03" 6.29" 1.25" 1.25" 23.3"
0 041 355 28" 28.25" 3.77" 5.03" 7.55" 1.25" 1.25" 25.27"